If you are using Xfinity (Comcast) for your internet service, a Windows application called Xfinity Constant Guard is likely to be installed. Xfinity Constant Guard may block Elgato Game Capture HD from launching. 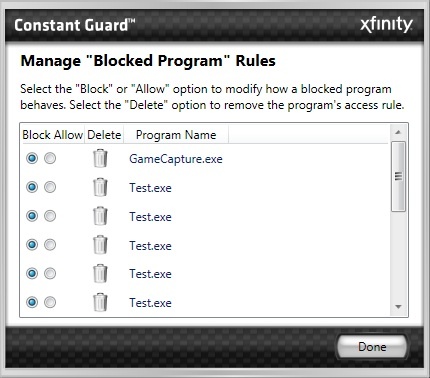 To solve this problem, you can add GameCapture.exe to the list of Allowed programs in Xfinity Constant Guard. 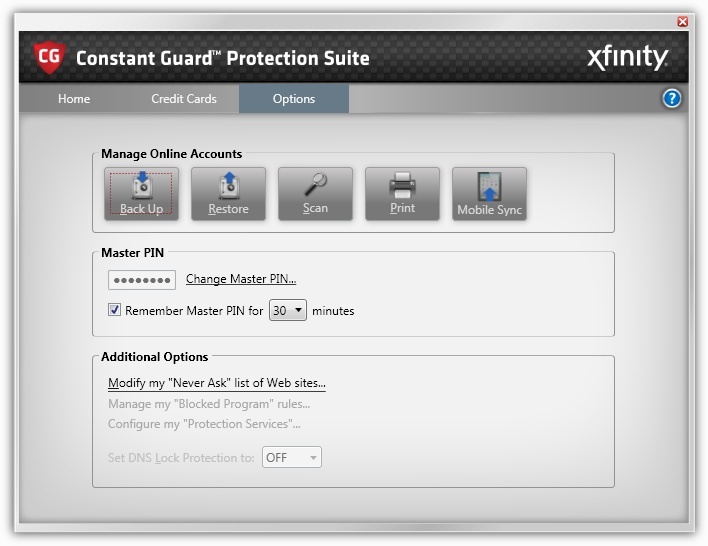 Xfinity installs a Constant Guard Protection Suite on Windows PCs using Xfinity internet service. Under Additional Options, select Manage my "Blocked Program" rules. 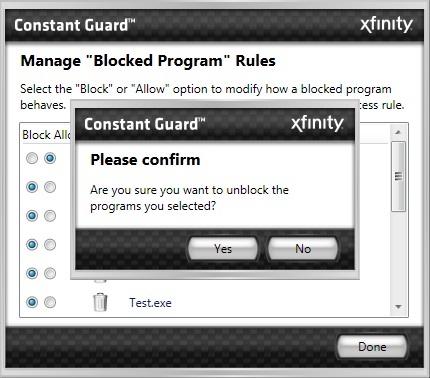 Constant Guard will display a window that allows you to Manage "Blocked Program" Rules. A window will come up that says "Please Confirm. Are you sure you want to unblock the programs you selected?" Press "Yes". Finally, press "Done" at the bottom of the Manage "Blocked Program" Rules window. After you finish this process, you should be able to launch Elgato Game Capture HD as expected. 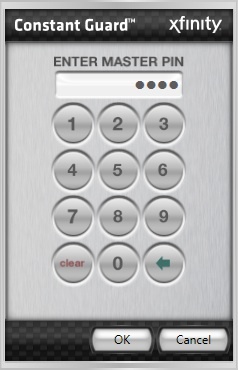 Constant Guard Protection Suite will block new programs that you launch, under the assumption that they might be unsafe. 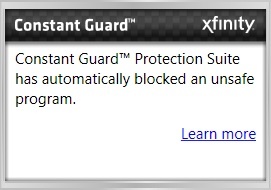 When you first launch Elgato Game Capture HD, you will see this message on the bottom right corner of your display: "Constant Guard Protection Suite has automatically blocked an unsafe program. Learn More." Click Learn More in order to start the process of allowing Elgato Game Capture HD to launch. 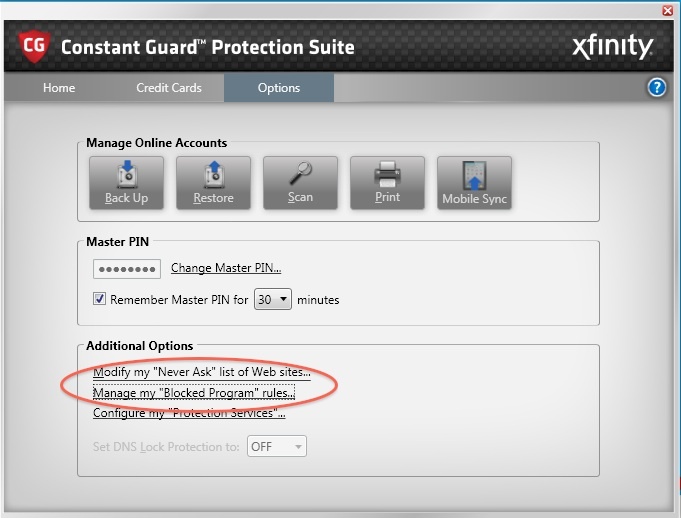 Enter your Xfinity Master PIN in the window that asks for it, then press OK.
After you enter your PIN, Constant Guard will display a window that allows you to Manage "Blocked Program" Rules.